"Streaming separates education into different courses, and we place students into each course. So each course is like a big jar. You can put different cookies into the jar, but when you label the jar as pineapple tarts, all the goodies in it get labelled too, accurately or inaccurately. SBB changes this fundamentally. Essentially, we break the jar, students come out of it, take subjects of varying difficulty, based on their academic ability. Taking one or two subjects at the Foundation level does not label the child. And equally important, it encourages students to find their strengths." With the advent of the Subject Based Banding (SBB) in Secondary Schools announced by MOE, the Institute on Effective Differentiation is definitely for teachers embarking on SBB, particularly in understanding their role in it, in relation to Differentiated Instruction (DI) principles. 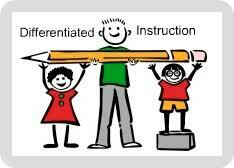 The Institute on Effective Differentiation (IED) is an intensive 18-hour learning experience with a hands-on, minds-on approach to Differentiated Instruction. If you're an educational leader, key personnel, curriculum specialist or classroom teacher, you'll find much to learn in the Institute. Now in its 2nd year running in Singapore, the IED offers transformative professional development experience for all!